When you start searching for a criminal defense lawyer in Tucson, it helps to know what, exactly, a criminal attorney does. Understanding the role of the criminal lawyer can help you better evaluate your potential representation and know what to expect from the experience. Understanding the role of the criminal lawyer can help you better evaluate your potential representation and know what to expect from the experience. While the role of the criminal lawyer is often glamorized in the courtroom, much of their work actually occurs outside of court. Interviewing witnesses, who may or may not appear in court. Collecting evidence, such as police reports, surveillance video, photographs of the crime scene, and more. Examining the crime scene in person. Reaching out to and interviewing experts to testify on behalf of the defendant in court. Creating exhibits to demonstrate evidence in court. In addition to gathering all the information about the case, a criminal lawyer must also spend time developing the argument to be used to defend the charges in court. This can take quite some time, and it can include practicing delivering the speech and practicing questioning the witnesses on stand. Criminal defense lawyers must also research points of law to back up the arguments they will make in court. They must research statutes and previous cases to find precedent to support their argument. A team of legal representatives such as paralegals, private investigators and consultants may be called upon to help with any of these pre-trial tasks. Pre-trial work also includes attending pre-trial hearings, arraignments, settlement conferences and other meetings. They may travel to court rooms, judicial chambers, jails, prisons, hospitals, and more. The primary role of the criminal defense lawyer in the court room is to present an effective argument defending his client against the charges he faces. By the time trial begins, the criminal attorney should be well-prepared, with an argumentative strategy backed by evidence and witness testimony. The criminal attorney should be able to adapt to the arguments presented by the prosecution, finding new arguments, evidence and points of law to support the defense. A criminal defense lawyer also advises the client at every stage of the case, providing counsel for the client to get the best outcome while also protecting his rights. In some cases, that may mean pleading guilty in hopes of getting a reduced sentence. Criminal attorneys also make arguments at sentencing hearings to try to reduce the time spent in prison or the penalties paid. Finding the right criminal defense lawyer for your Tucson case is essential to getting the best outcome. Knowing these duties can help you evaluate your choices to make sure you are finding a criminal attorney who has the experience you need. My AZ Lawyers in Tucson includes a team of experience criminal defense lawyers who have expertise arguing cases in Tucson and the surrounding area. They have defended a variety of cases successfully, and they are committed to fighting for the best outcome for their clients. They have a team of legal professionals that work with them to create the best defense, including getting the right eyewitness testimony and evidence to present at trial. 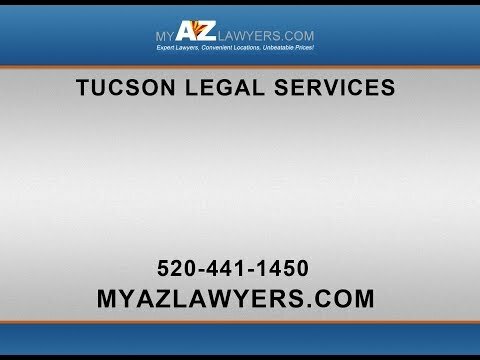 Call My AZ Lawyers today if you need criminal defense services in Arizona. What If I don’t like my Tucson Family Lawyer? Can I get a Different One?